After eleven weeks in a classroom learning Constitutional law, State law, and Civil law, Class 212 was getting a severe case of 'cabin fever'. I am glad to say the class held it together. Our class has entered the second phase of training at the Academy. Skills. Every Cadet is eager to get to skills. Cadets are trained in safe manipulation of driving a Police Cruiser. 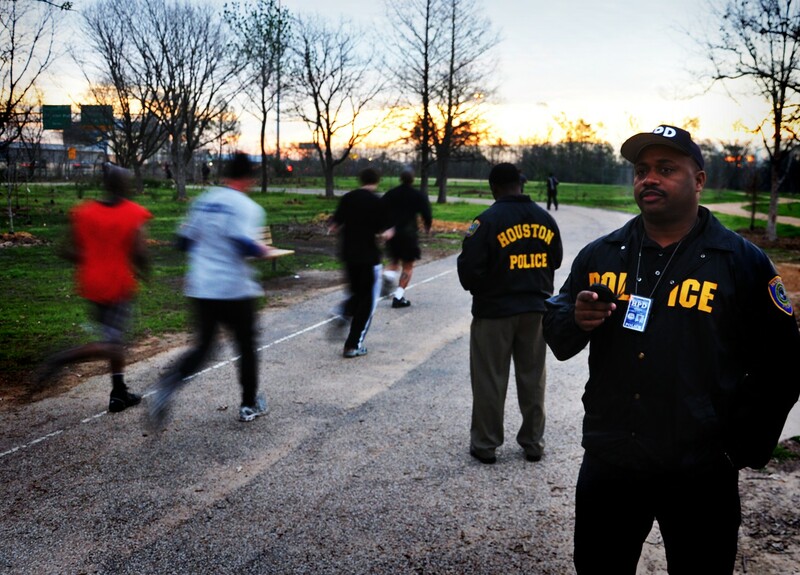 We are trained in the ways to protect individuals from harm to themselves, as well as, Police Officers. And lastly, how to safely use firearms. Safety is the key for everyone involved. Did I mention that this phase is fun? Oh yeah…real fun. Many Cadets have switched into competitive mode to see who can do the skills courses the best. It is challenging but it's a blast! 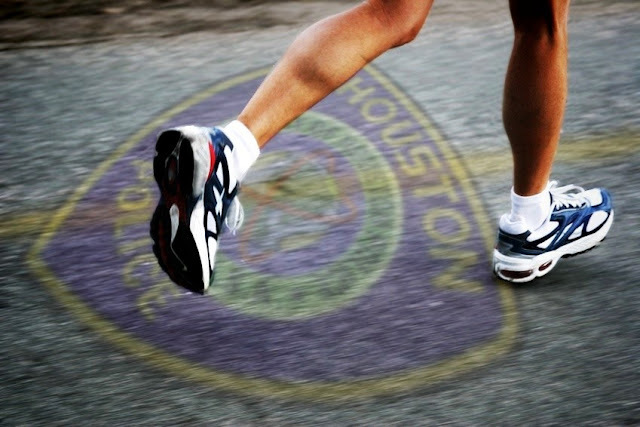 Becoming a Houston Police Officer is a difficult process. We are not even half-way through our training. The schedule and demands are tough. Plus, our trainers expect no less than excellence and professionalism from us. We are reminded that many eyes are upon us because the bar was set so high for our class. Recently, we had a Physical Midterm Test. We were told that we exceeded expectations and our class met a milestone that had not been achieved in years. But the Class has learned that sometimes one step forward is easily met with two steps backwards in the same day or the same hour. As students we are taught to be ever vigilant. A thick skin in this profession is a must. If you find it hard to receive correction and criticism in any form, this may not be the career path for you. You also need an attitude of service. To become a police officer, you must come to terms with the fact that you are putting your life on the line for people you may or may not know. You must also choose integrity before loyalty in this line of work. 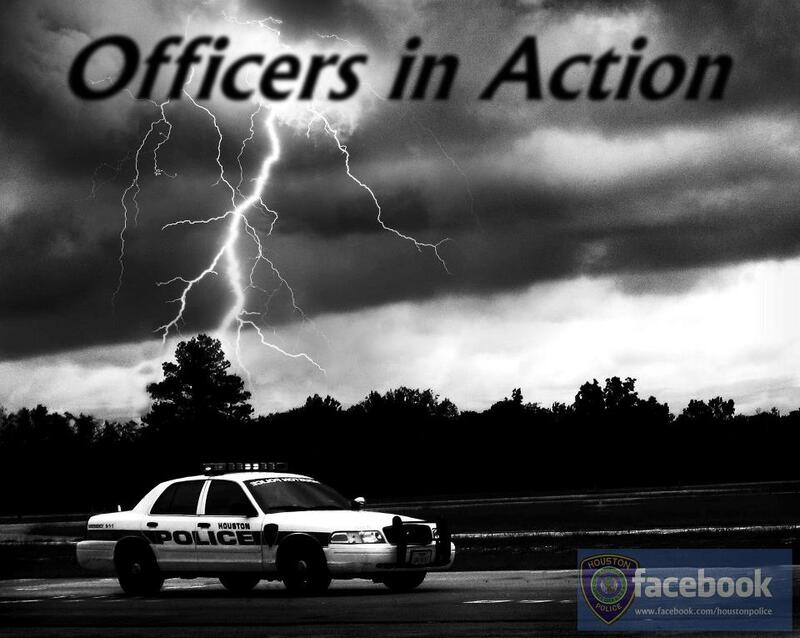 As a public servant, you are looking for ways to help citizens, family, and fellow police officers. The reward is knowing you did your job with integrity and the way you were trained. Sadly, we may never receive a thank you. Today we were told that Law Enforcement is an honorable profession. I would have to agree. Not because I chose this career but because I see the rich experience we see from those that have gone before us. I also see the hope and promise in the eyes of my fellow classmates in Class 212. Keep an eye on us. Expect great things from us. New HPD Career Website is now live! Check out the new HPD Career website for the latest information on becoming one of Houston's finest. We are anticipating taking applications in mid-March, so BE READY! Recently during the holiday season, Officer G. Garcia and Officer S. Rubio were dispatched to a call for service which involved a woman who advised them that she suffered from depression and anxiety but did not have any money or resources to go to the doctor. Further investigation verified her claims and her need for help. 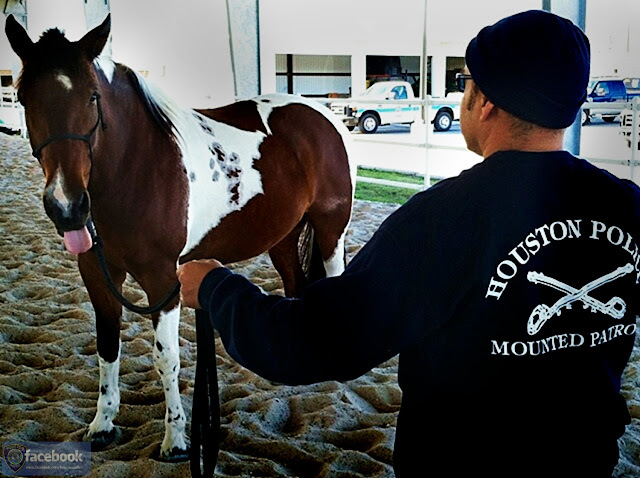 The officers contacted the Houston Police Department’s Mobile Crisis Outreach Team to get her some assistance. The officers along with the Mobile Crisis Outreach Team immediately began to assist the woman in her time of need. Officers Garcia and Rubio also observed that the woman’s two children were not adequately clothed and appeared to be hungry and cold. The apartment in which the family resided was cold and dirty and there was no food in the refrigerator or pantry. Further investigation proved that the woman was disabled, unemployed and in danger of losing her apartment. Officers Garcia and Rubio went to a nearby store and bought clothing and several holiday gifts for the children using their personal funds. HPD would like to commend these officers for their generosity and thorough investigation. These officers demonstrated professionalism and diligence in the performance of their duties. As a result, this woman and her family will get the assistance that they need. 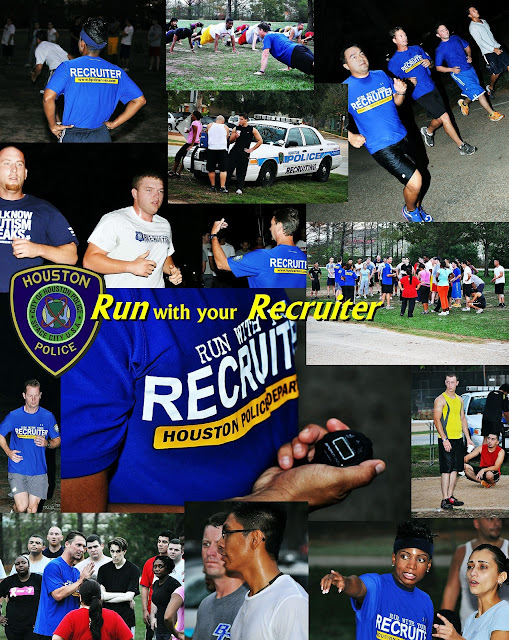 If you are currently going through the application process, thinking about a career change or just curious about what it is like to be a police officer, please join us for the Run With Your Recruiter events. It is a great way to have a conversation with a recruiter, ask questions about becoming a police officer, or if you are already in the process, what to expect from here on out. It is not mandatory for you to attend, but it is highly encouraged. You need to be prepared and in shape once you enter the academy. Why not join possible future classmates and get a head start over those not attending. For more information and instructions on attending please click here. Criminal Intelligence Analyst (CIA) Vela and CIA Baker work within a specialized unit called the Real Time Crime Center (RTCC) for the Houston Police Department. 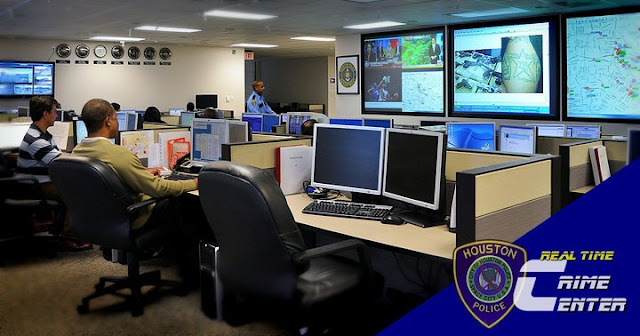 Additionally, the RTCC is a centralized technology center in which its primary purpose is to expediently capture and provide field officers/investigators with instant and comprehensive information to help identify suspects, crime patterns and prevent emerging crime. 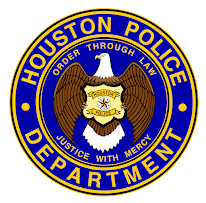 Recently, HPD officers were investigating an aggravated robbery and auto theft that involved a group of armed suspects. Specifically, the aggravated robbery occurred just after midnight as the victim was meeting a friend for the first time in a parking lot of an apartment complex. While waiting for her friend the unarmed victim was approached from behind by an unknown armed male. The armed suspect forced the victim into a nearby apartment and now the armed assailant was pointing a gun directly into the victim’s face. The armed assailant then sexually assaulted her while several other suspects ignored her plea for help. After the assailant assaulted the victim he grabbed her purse and dumped her items out, stealing her valuables and car keys. The armed gunman then stole the victim’s car and fled the scene. The victim regained her composure and that’s when she called HPD for help. 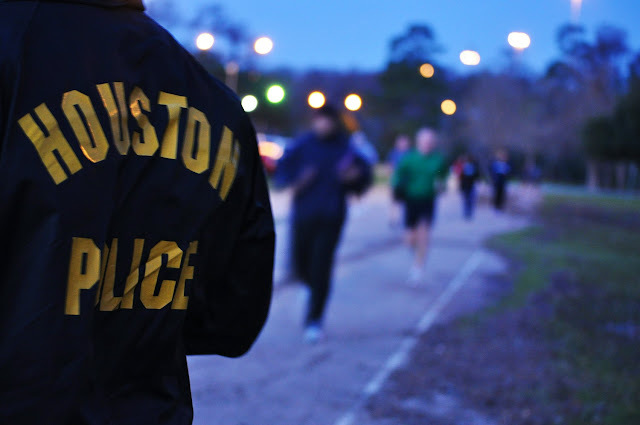 HPD officers quickly began their investigation into this horrific crime. Officers started to piece together a series of armed kidnappings, sexual assaults, armed robbery, and auto thefts that were related to the investigation. Furthermore, the investigators discovered that these offenses were being committed by a single group of armed suspects who were preying on young victims when they were alone and vulnerable. The investigation team was moving as fast as it could to bring the armed group into custody and it was not long when their officers were involved in a vehicle pursuit with two of the armed suspects as they were attempting to evade arrest after fleeing from a stolen car. 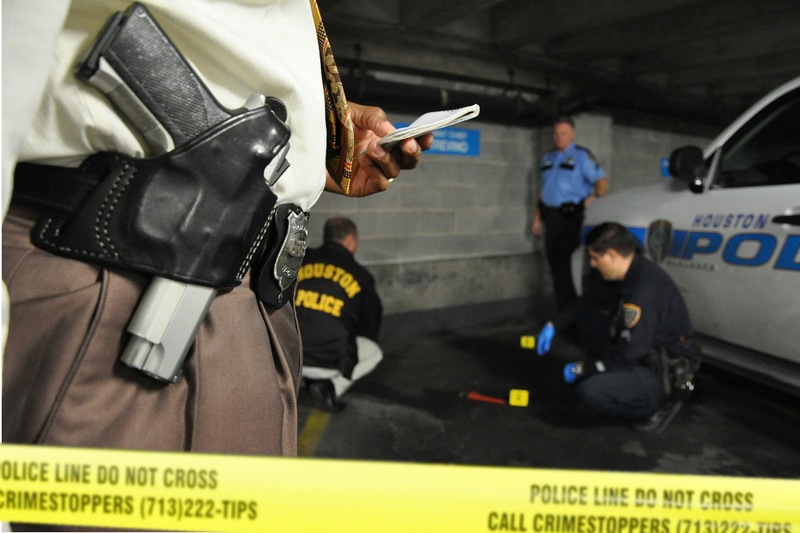 Through the course of the investigation, the investigators were able to determine that one of the armed assailants had called the victim from a cell phone. 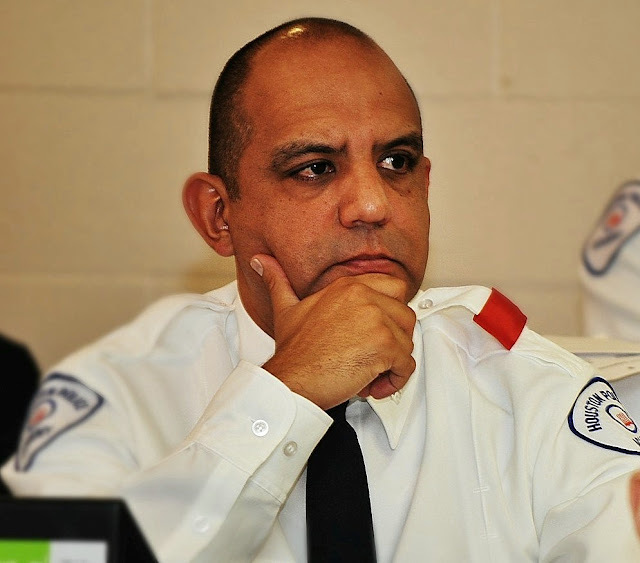 The investigators now needed assistance in locating the assailant’s whereabouts, so they contacted the RTCC for assistance. Therefore, all relevant facts of the case were submitted to the RTCC for analytical research. CIA Vela and CIA Baker were assigned to the investigation. They both began to methodically process the information for any possible leads. Utilizing their analytical skills to query the various databases within the RTCC, CIA Vela was able to obtain a substantial amount of information such as, a picture, addresses and identifiers associated with the head of the armed group through a phone number that linked the suspect to a victim. CIA Baker continued with his search and verified the suspect’s phone number; further, he provided additional photos of the suspects and incrimination information associated with the crime spree. 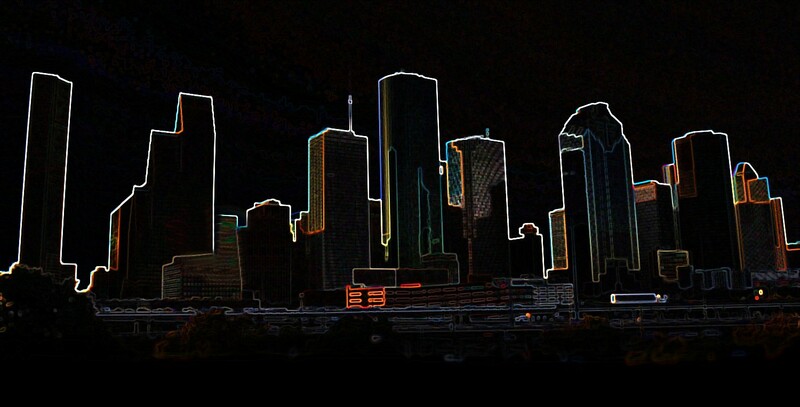 Furthermore, as the first two suspects were being questioned for the stolen vehicle it was discovered that they were part of a ruthless gang involved in a crime spree on the west side of Houston. The information that CIA Vela and CIA Baker provided to the investigators expedited the arrest of the remaining gang members for their violent heinous crimes. It was not long before investigators filed charges and arrested the entire gang including the ringleader. The information that the CIA Baker and CIA Vela provided the investigators was instrumental in the expedient apprehension of these violent assailants and the prevention of any further crimes by this violent gang. This video footage from a Walmart surveillance camera in Georgia last week shows a 7-year-old girl only feet from her mother when a 25-year-old predator tries to carry her out of the store. She fought back and got away. The suspect was captured and arrested by police within an hour. Please share this video with your children, family members and friends. It’s important to let your children know about these types of incidents and that they can happen within seconds if you are not paying attention. "I lost my pet. Will you help me find it?" "I have some candy, money, or a toy for you." "Don't think so, not today..."
It's time for another "Run With Your Recruiter" event at Memorial Park on Thursday, February 9, 2012 at 6:30 a.m.
We are no longer accepting application packets at this time. 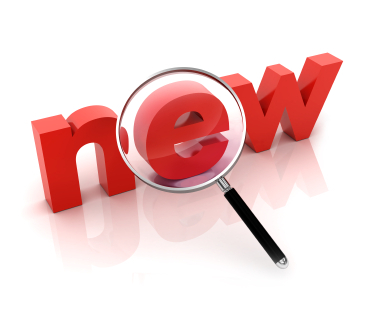 It is anticipated that the Recruiting Unit will begin accepting application packets again in mid-March 2012 for a projected June 2012 Academy Class. 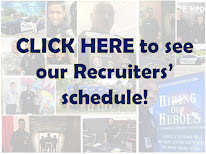 Please check back again with http://www.hpdcareer.com/ for further updates.